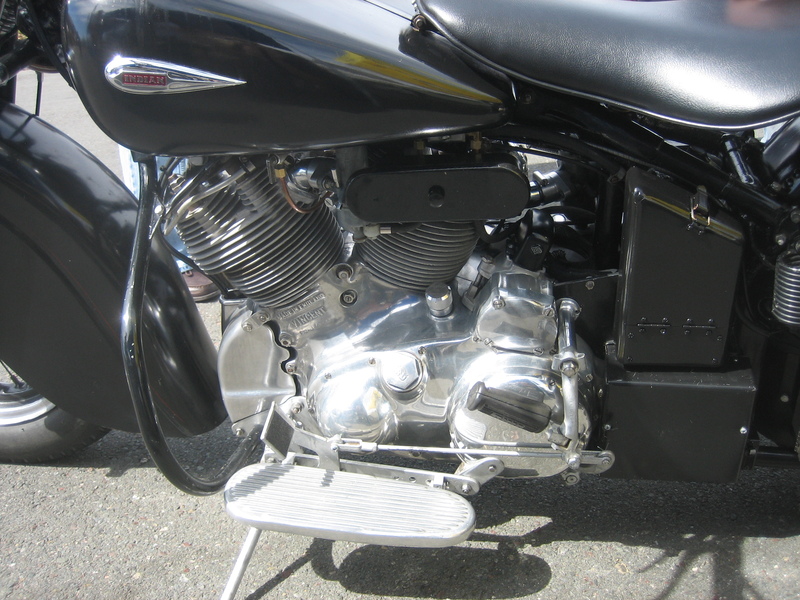 Some time ago I ran into "some dude" who had a very unusual motorcycle; it caught my eye because of the fascination I have with Vincent motorcycles, the unique design of the power plant, and because of the fondness I have for the smooth flowing lines of the vintage Indian tin. 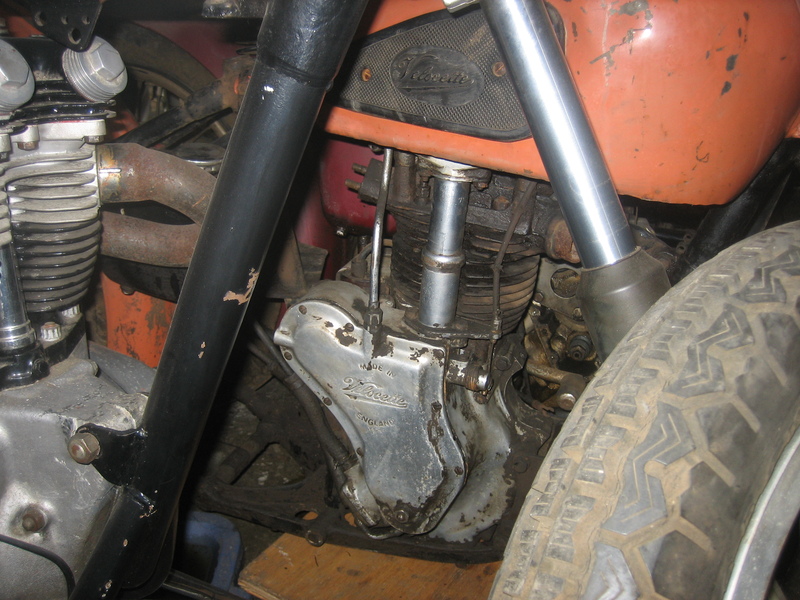 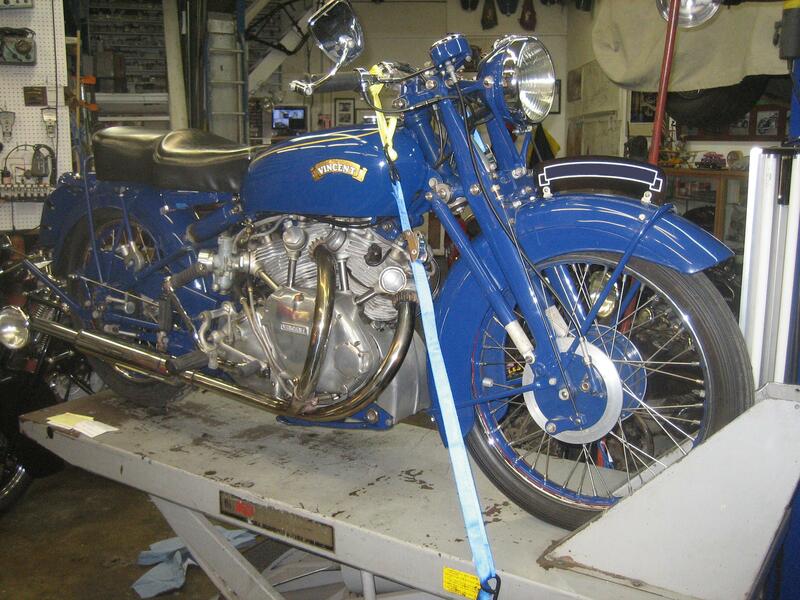 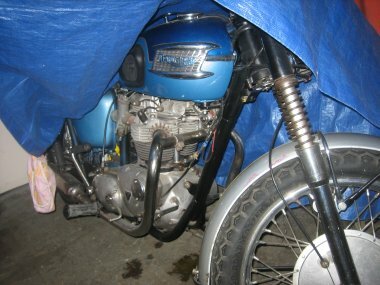 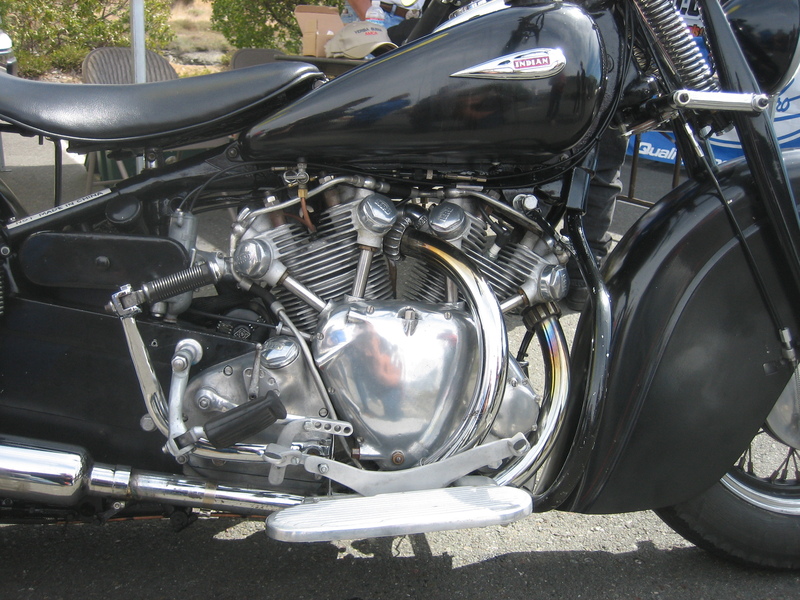 The bike said "Vincent HRD" on the engine rocker arm cap nuts, but said Indian on the gas tank and speedometer. 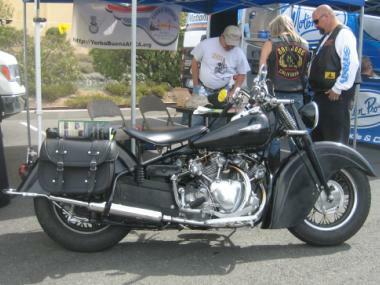 Some time later I ran into this same fellow again some where and was admiring the "Vindian." 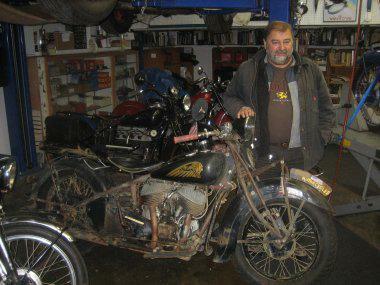 He gave me his business card and offered me an invitation to view his "motorcycle collection" some time. 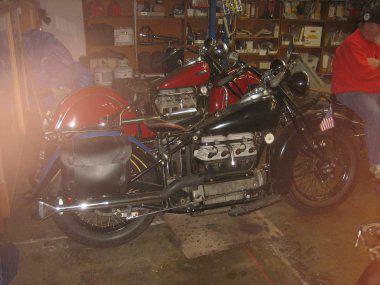 Outstanding, I would be happy to see the collection some time, and although I am not that much into flatheads or Indians, like some of you are, I would be especially pleased to view some Vincents some time. So, some time not so long ago I called him, said I would be some where close by and would it be convenient for me to come by? 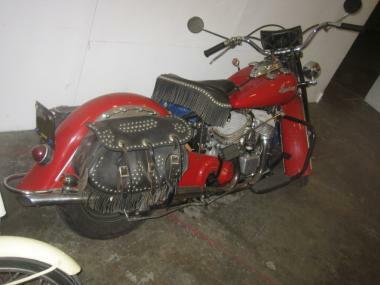 Well now, I figured he had some Vincents and some Indians, and that would be a "collection" and I could take some pictures to share with all of you. 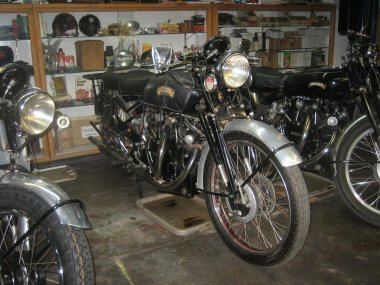 Some Vincents he had - indeed - the most I have ever seen in some place at some time! 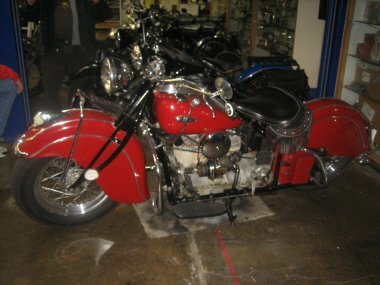 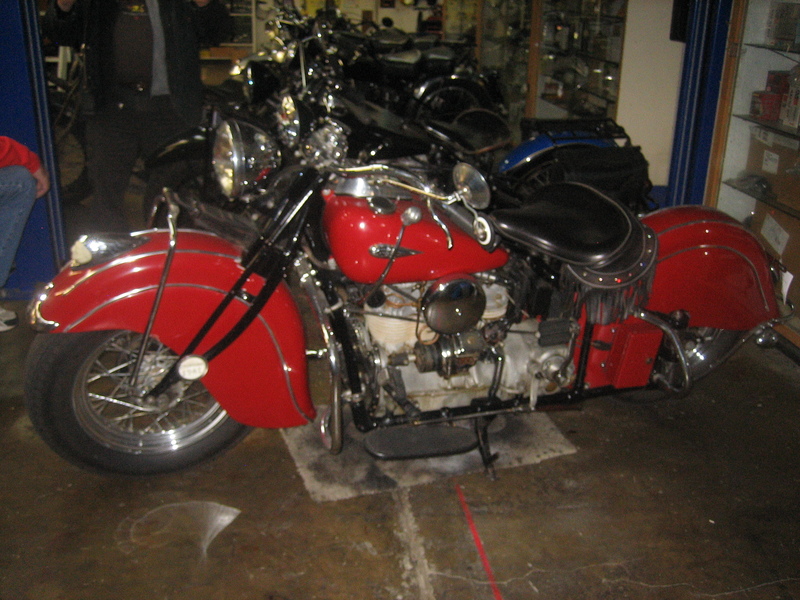 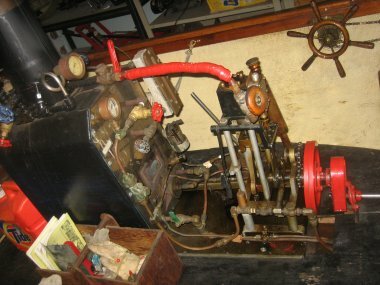 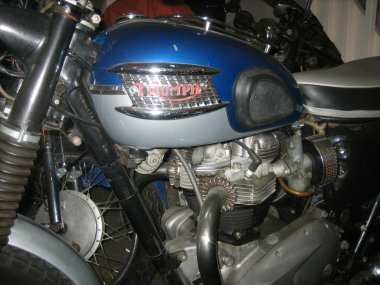 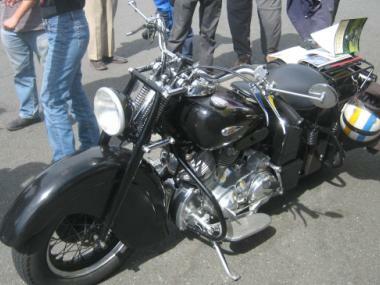 There was an 1950 Americanized Rapide with a side hack built for sale in the United States - had a different diameter headlight bucket, different generator, etc. There was another Vincent, a 1952 Touring Rapide in original "Bugatti Blue." 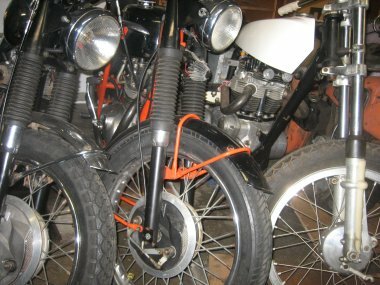 And, and, and... there were THREE Black Shadows, 1950, 1952, 1954, all sitting in a row with their what-you-see-is-what-you-are-doing Smiths chronometric 150MPH speedometers. One of which he has personally piloted to 140mph some time ago. The Smiths chronometric speedometer is a particularly neat and accurate speedometer design using the chronometric principle, i.e., clock movement, whereby speed indications are obtained at intervals of 3/4 second by means of an escapement mechanism (and you can see the needle click to each increment of speed like the second hand on an old school clock), versus the cheaper to produce and less accurate Magnetic type speedometer which is most accurate mid-scale but less accurate on the low and high limits. 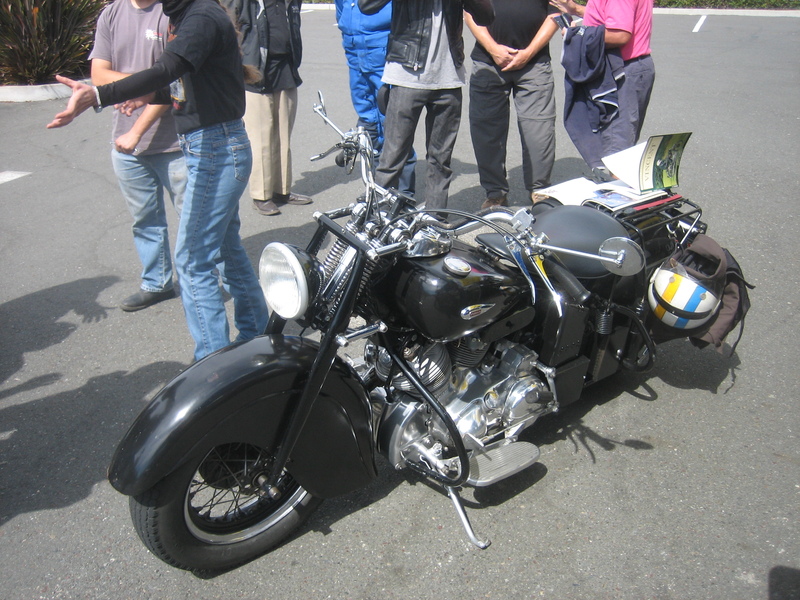 In case you have not heard, some time ago, on the 13th of September 1948, Rollie Free achieved the US national motorcycle speed record at Bonneville Salt Flats in Utah riding the first Vincent Black Lightning. 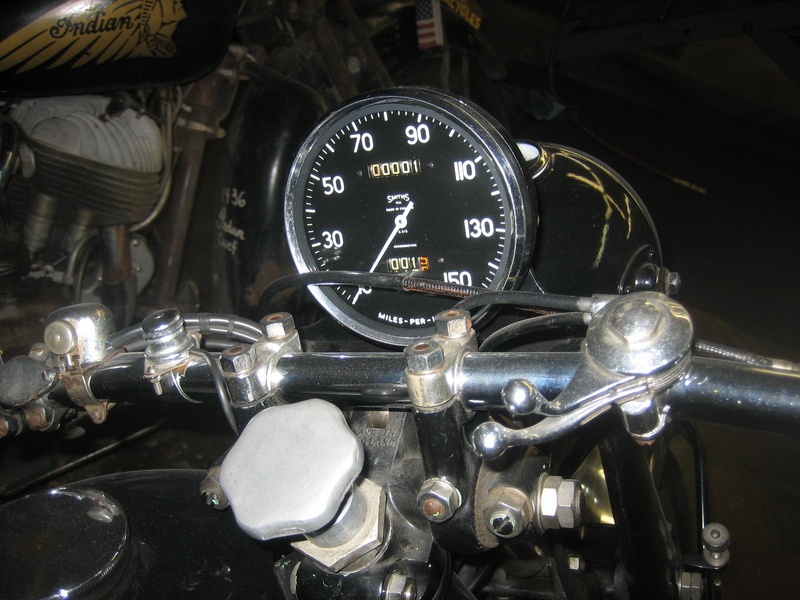 Preliminary runs were a hair under 150 MPH and so he shed his leathers, replaced the engine oil with 5 weight oil and rode the 380 lb 61 cid "bathing suit motorcycle" for a record average speed of 150.313 mph! 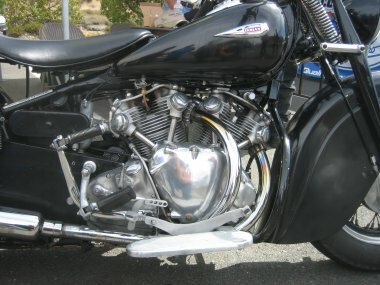 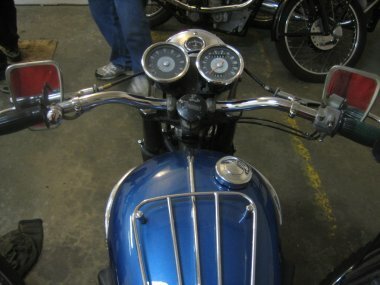 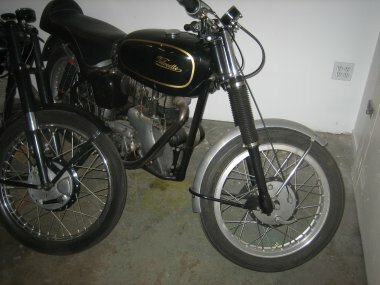 The Vincents are all virtually the same parts but have varying degrees of tune - compression ratios between 6.8:1 and 12.5:1, larger inlet ports, polished rocker gear, a manual-advance magneto; of construction - steel idler gears, racing carburetors, higher strength connecting rods, magnesium alloy components, special racing tires on alloy rims, rear-set foot controls, a solo seat and aluminum fenders; and of accessories - shocks, mechanical advantage hand lever operated center stand, etc. 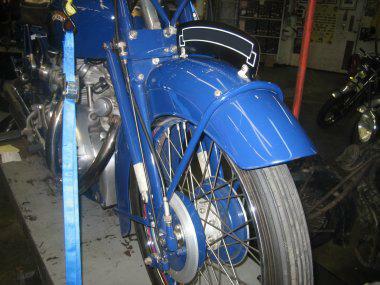 Brakes - check out the brakes on Vincents - shoe brakes capable of stopping this machine in 26 feet from a 30 mph roll! 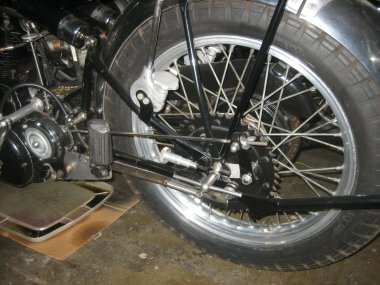 Rear sprockets - notice that the reversible rear wheel has two sprockets so you can change ratios. 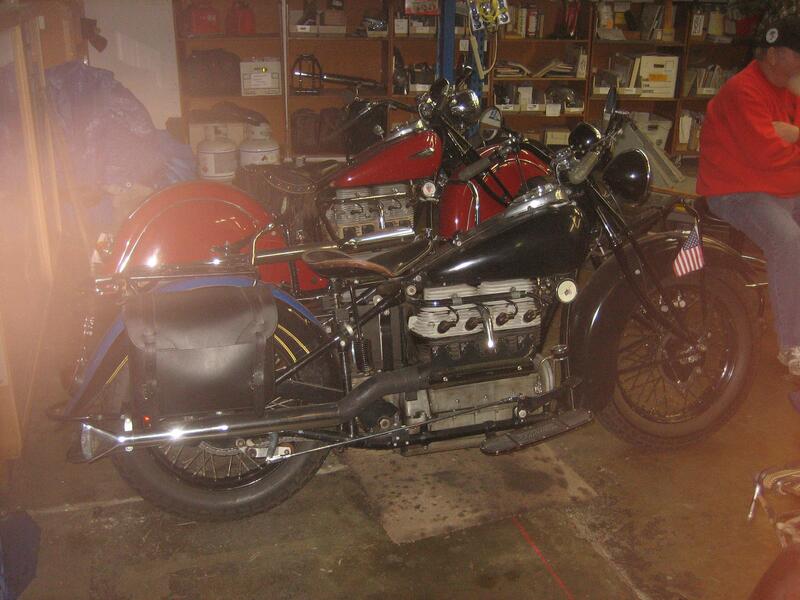 Some Indians he had - a Scout, a 1936 Chief, a 1948 Chief, a 1938 and a 1941 in-line 4. 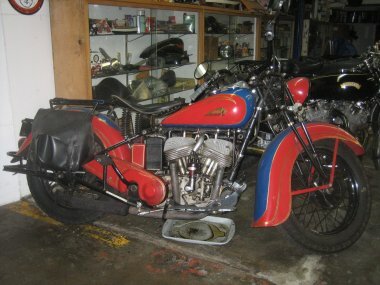 The 1936 Chief was the "dirtiest" of them all... but... the dirt was dirt that has accumulated over some years and some (three) trips across Canada, all around Alaska, and even NORTH of the Arctic Circle on roads where BMW GS's go down and Harley's - well he told some full-dress Harley rider asking about the road that the road was muddy and had large ruts - he didn't have the heart to tell the dude that he would end up turning around before he went another 20 miles on those big street tires. 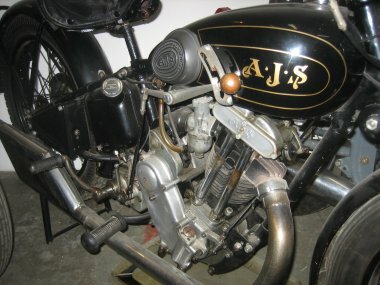 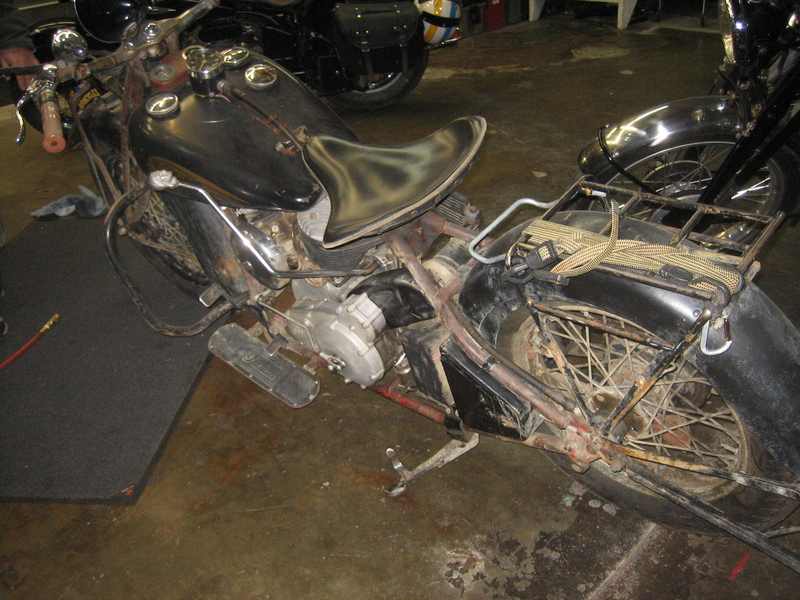 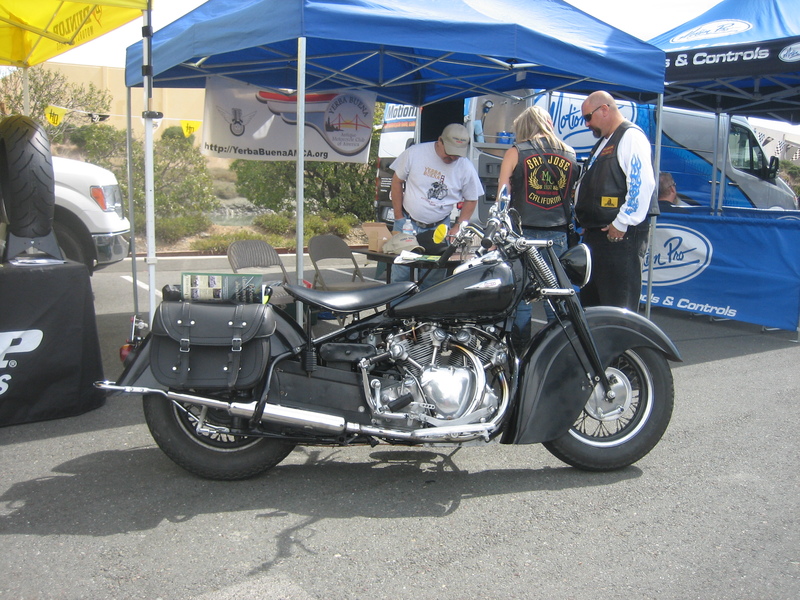 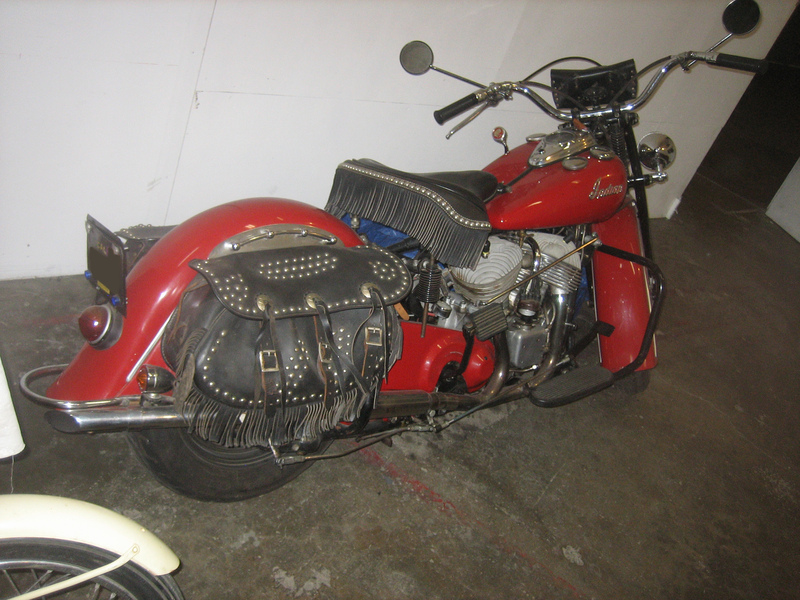 Rumor has it that motor company policy dictated to dealerships was to destroy any Indians that were traded in on a Harley, the goal being to reduce the number of Indians on the road and riders needing maintenance or parts for an Indian. There are some other motorcycles in "the collection"... Velocette, Norton, AJS, Ariel Square Four, BSA, a couple Japanese bikes (one of which WAS for sale, and even a Harley (shovel head dyna), and, some others ready to be made reliable dependable rides - enough to keep him busy for some years to come. There are some Triumphs, including, of particular interest to me, a 1965 Bonneville... JUST LIKE THE ONE I bought in 1965 that I wish I still had... "how long have you had it?"... 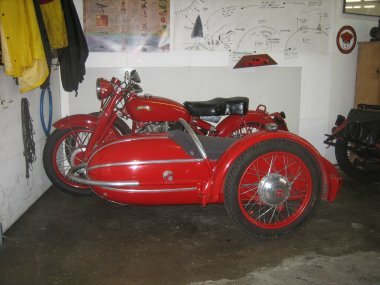 "a long time"... "is it for sale?"... 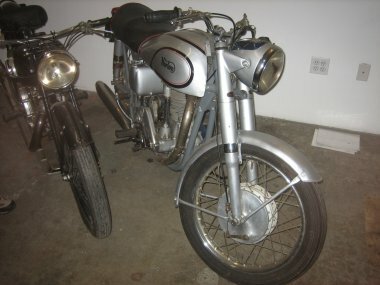 "no"... "well, if you should ever decide to sell it pleeeeze call me"... Yup, my conversation was nothing like Steve McQueen's conversation... "how much do you want for it?"... 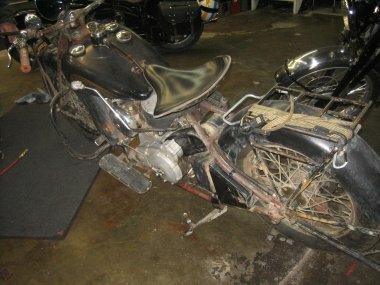 "it's not for sale"... "no, really, how much do you want for it?"... "[some ridiculous price]"... "here's a check for it." 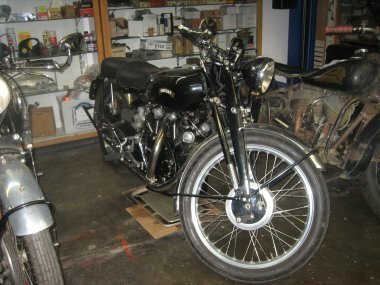 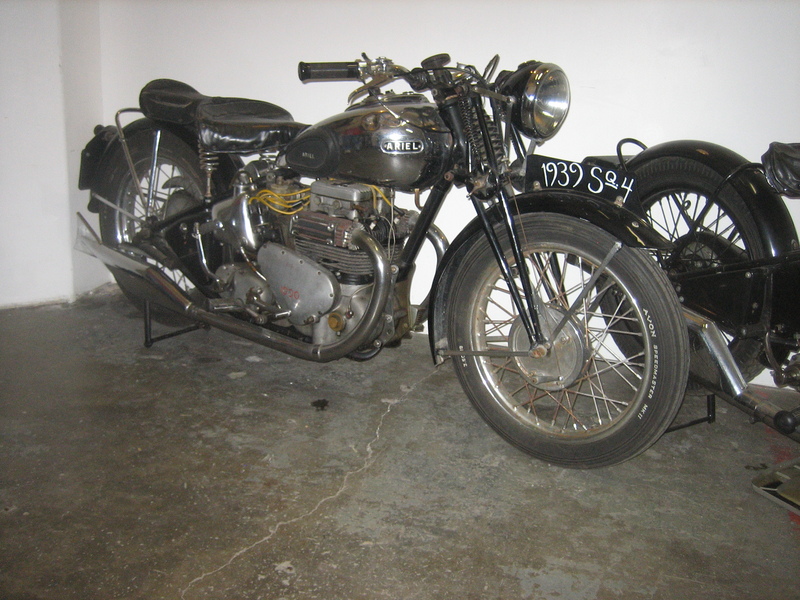 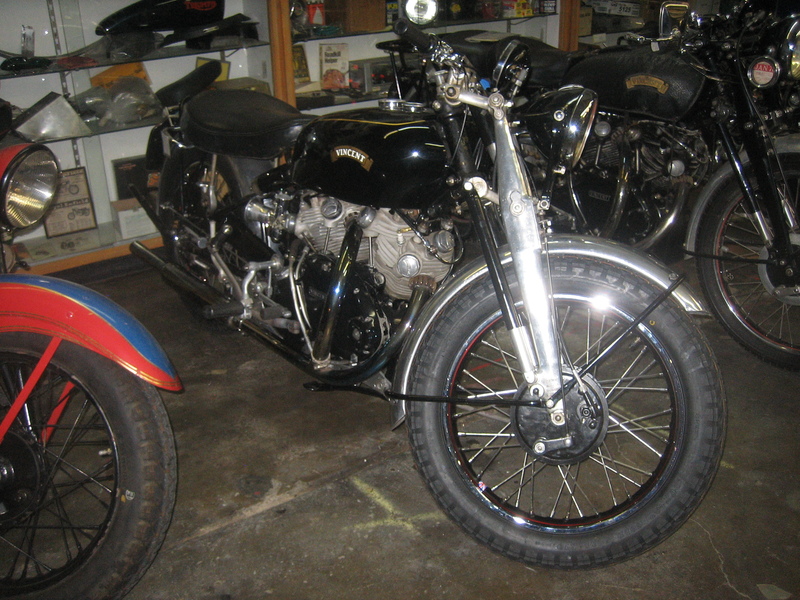 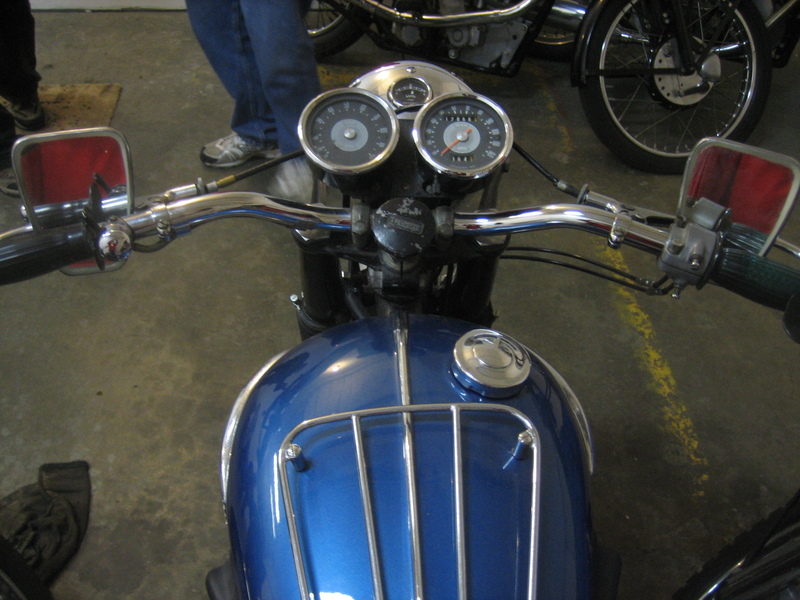 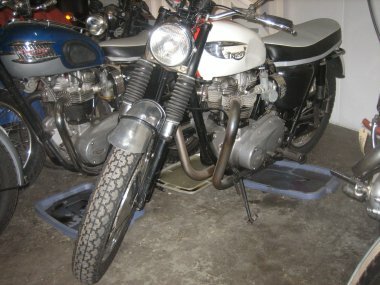 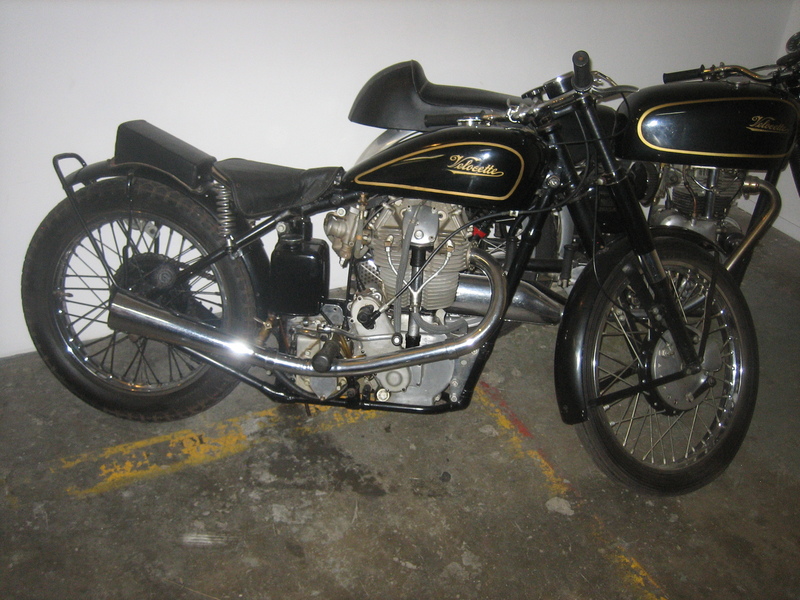 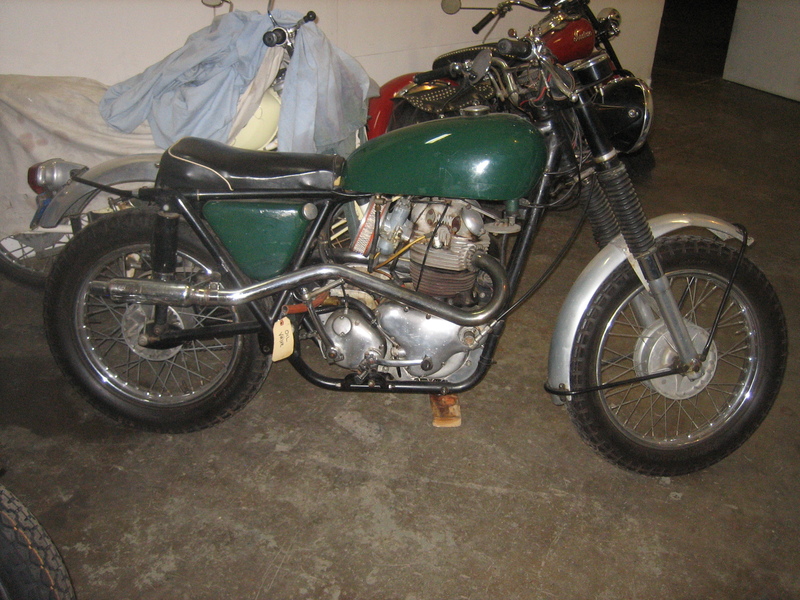 And another Bonneville, a TT, and a couple others not yet restored. 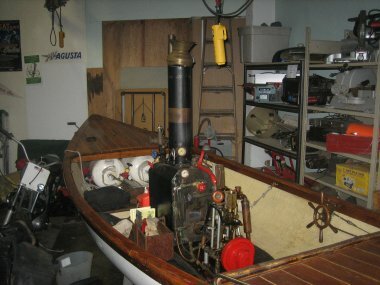 And, lastly, some water toys - a steam powered boat that easily cruises at 5 to 10 mph and a Whitehall sail boat, a waterman taxi, from the 1880's with a hydrodynamic efficient hull design allowing it to reach it's maximum speed with a 10 mph wind and today capable of out running fast catamarans under some conditions.